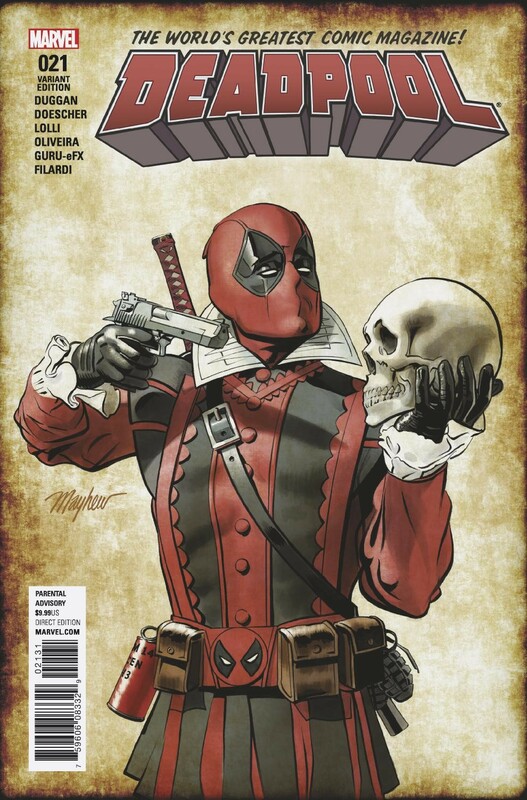 This October, the Merc With a Mouth is crashing headlong into Marvel NOW! and he’s bringing William Shakespeare with him! Today, Marvel is pleased to present your first look inside DEADPOOL #21 – the colossal 80 page issue coming to comic shops and digital devices on October 26th! 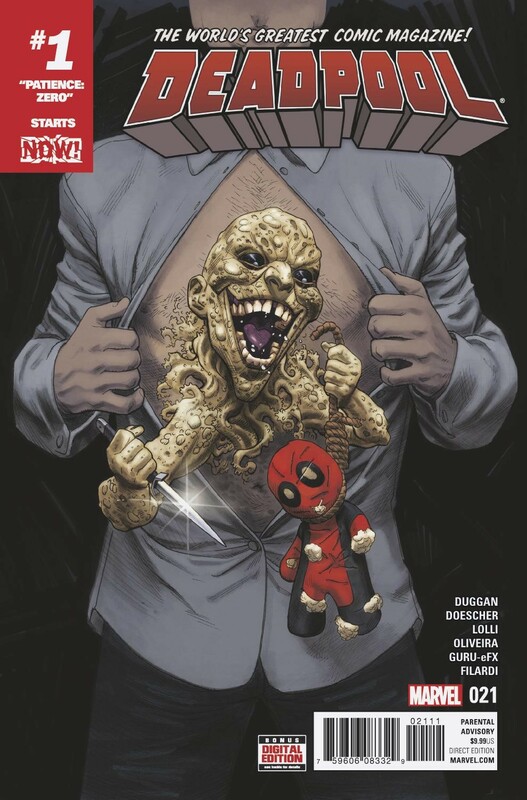 First up, witness the the return of one of Deadpool’s greatest adversaries as Madcap returns to the fold in a brand-new full length adventure from Gerry Duggan and Mateo Lolli! 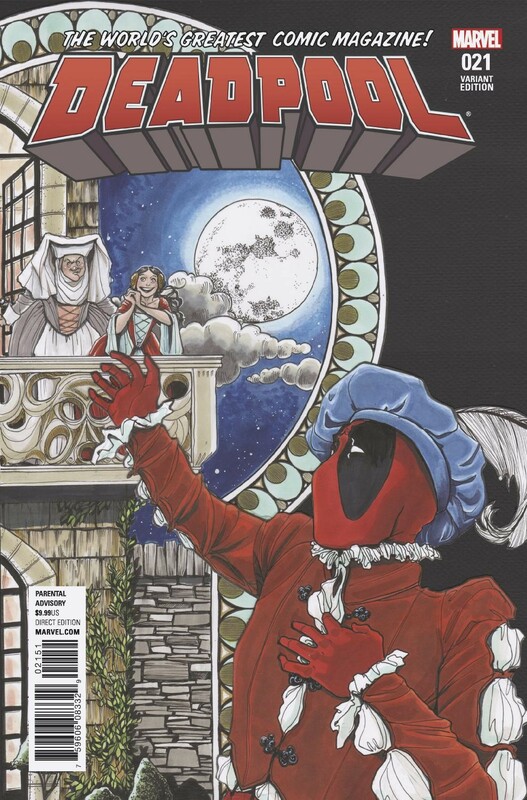 No one has pushed Deadpool to the limit quite like Madcap. Is Wade ready to face him again? 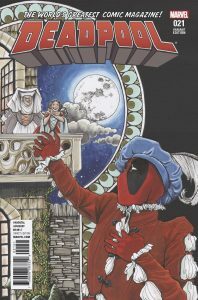 Then, Deadpool goes Shakespeare for an all-new 60-page tale from writer Ian Doescher (William Shakespeare’s Star Wars) and artist Bruno Oliveira! Those old plays from English class just got a lot more interesting. Don’t say we never taught you anything! Be there for the tales of the bard as you’ve never seen them before when DEADPOOL #21 comes to comic shops and digital devices on October 26th! DEADPOOL #21 : Written by GERRY DUGGAN & IAN DOESCHER, Art by MATEO LOLLI & BRUNO OLIVEIRA & Cover by MIKE HAWTHORNE. Variant Covers by MIKE MAYHEW and JANET LEE. Secret Comic Variant by SCOTT KOBLISH. Champions Variant by PHIL NOTO.